As a parent of children who participated in both Boy Scouts, Girl Scouts and 4-H, I can tell you that space is at a precious product of any camping trip. As an example, I would love to share a brief story of my trip to Yellowstone with my children’s Boy Scout troop. All started well. We packed and repacked to get our supplies down to one backpack each. While we did not have to carry food out there, we did need several different types of clothes, water bottles, and flashlights. At the time, all we had were lanterns or stick type flashlights, which both take up a lot of room. But since this is what we had, we had to go with it. Believe it or not, having light is very costly. It not only cost in batteries but also in space. Once we had everything forced into our packs, we were ready to load into the car and move on to the next adventure. Well…..as I like to say the best made plans and all. We got to our first camp after being on the road for 12 hours. The kids were tired, the adults were exhausted, and camp still needed to be set up. So away we went on setting up camp. As darkness began to creep into our camp, we all reached for our light sources. Some brought lanterns, others brought long flashlights to light the way but…..the problem still existed and that was the size. Yes, I know there are little pocket flashlights but frankly if I am camp I want light not a speck. In doing so, I typically reach for larger light sources but this would change years later. 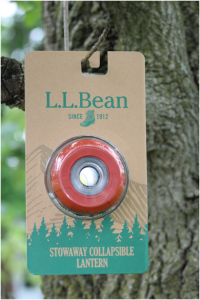 While I was exploring some new “flashlights” for an upcoming camping trip, I found the Stowaway Collapsible Lantern by L.L. Bean. Yes, I know what you are thinking and I thought the same thing. How well is a collapsible lantern going to work? Am I going to get out in the backcountry and find out that this unique product is not all that it is cut out to be? Or, is it just going to be a novelty. Well, I decided to give it a try on a recent campout. 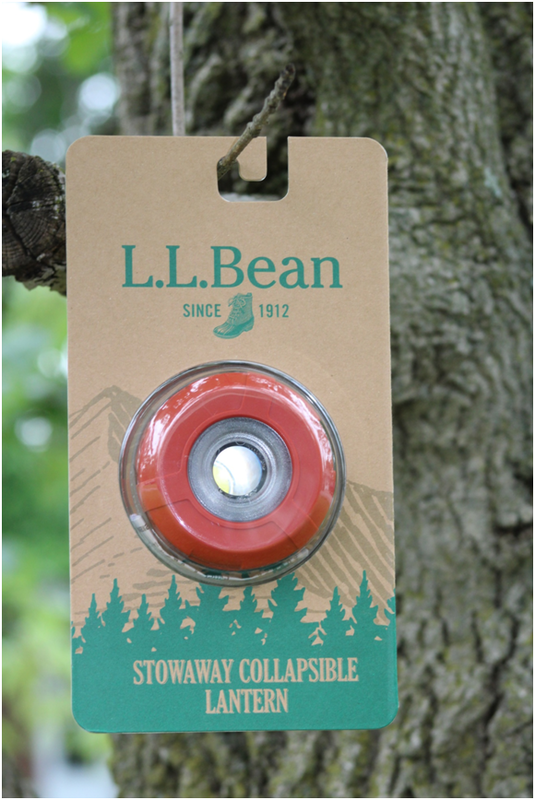 Oh my gosh, the Stowaway Collapsible Lantern by L.L. Bean is all I could ask for. It is small and compact. As a matter of fact, it is so small I can simply place it in a pocket of my pack. It is functioning both when it is collapsed and when it is extended. The collapsed shape produces a focused light that is strong and comparable to a flashlight beam. On the other hand, when it is expanded it acts as a lantern that is bright enough to cook or read by. All in all, this is a wonderful product and I wish I had it when I went to Yellowstone. The only thing I would like to see on this product is a hook by which it could be attached to a pack for quick access.